Venezuela has postponed its new restrictions on US airlines into their country for one month after talks with the US State Department. The country was planning on curtailing the ability for American, Delta, and Continental Airlines to fly into the country, but threats from the State Department to restrict further travel from Venezuela into the United States if these sanctions went into effect. The threatened airline restrictions had heightened political tensions between left-wing Venezuelan President Hugo Chavez and the United States, which receives about 15 percent of its energy imports from Venezuela, the world’s No. 5 oil exporter. Venezuela says it has improved aviation safety standards since it was first downgraded by the FAA in 1995, a move that imposed restrictions on Venezuelan airline services. Under the FAA category two status, local airlines must lease aircraft and crew from a category one country to fly to U.S. airports and cannot expand flight services. Venezuelan airlines said they backed the ban because they wanted to force the United States to lift the restrictions. Washington is caught in a heated dispute with Chavez over his close ties to Cuba and Iran. A self-styled socialist revolutionary, Chavez accuses U.S. officials of working to oust him while they counter that he is a threat to democracy. There was a ferry accident off of Bahrain on the evening of March 30th. Over 150 people were on board the vessel, and the Bahrain News Agency is reporting casualties. The vessel was on an evening cruise that was to last several hours when it overturned less than a mile off the coast, the Bahrain News Agency reported. The agency said Bahrain’s coast guard boats arrived at the site and that rescue operations had begun. Cmdr. Jeff Breslau, a spokesman for the Bahrain-based Navy 5th fleet, told The Associated Press that that the U.S. personnel were en route, but had no other details. “We’re sending divers, small boats and a helicopter right now,” Breslau said. In an interesting case that may severely affect the online travel brokers, the city of Atlanta is looking to get tax money they think is owed them by the online travel resellers to the tune of tens of millions of dollars. This could be a huge blow to the agents. In its lawsuit, filed March 29 in Fulton County Superior Court, the city says the companies are collecting the full 7 percent Atlanta occupancy tax — a major revenue source for the city — from customers but remitting only part of it and keeping the rest as profit. Suppose a travel site buys a room from Holiday Inn for $50 and sells it for $75, said partner L. Lin Wood of Atlanta law firm Powell Goldstein LLP, who is heading up the city’s case. The site sends the hotel an amount equal to 7 percent of the price it paid (which the hotel then remits to the city), when it should be sending 7 percent of the price it charged, Wood said. Hooters Air, the chauvinistic airline of choice that served Myrtle Beach from many small market cities, has announced they are discontinuing operations for their regular service and turning into a charter airline. The announcement has hundreds of beer swilling, wing eating golfers crying the blues today as the airline that had genuine hooters girls serving the passengers with the flight attendants on every flight. The airline will cease its public charter flights April 17 and will run only private charters out of Winston Salem, N.C.
Bob Brooks, the airline’s founder, and its president, Mark Peterson, said Hooters Air will serve large groups such as sports teams and tour groups, which was the original business model for Pace Airlines. Brooks acquired Pace in December 2002. The airline has approximately 350 employees in Winston-Salem. Peterson said some will be laid off. About five Myrtle Beach employees, including ground and ticket agents, will also be laid off. So Rest In Peace Hooters Air, it was an interesting and fun experiment. As many are learning, Set Jetting can be an economic boon to a region. People see a region in the movies and develop a yearning to visit that area later. If local tourism boards can incorporate the film locations into their marketing and develop tours around the movies, they can show a double benefit of having films in their locales. First the financial benefit the film crew brings to the area, and second the tourism revenue that will follow. One of the most important developments for the European travel industry in 2006 happens in May – but it has nothing to do with tourist boards, airlines, cruise lines or any other part of the industry. 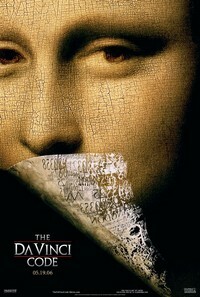 It is the global release of the film The Da Vinci Code, based on the best selling novel about the search for the truth about Christianity. Starring Tom Hanks and Audrey Tautou of Amelie fame, it is bound to be one of the top selling films of the year. But why is it important to tourism? Simply because a growing number of people base their holidays on places they have seen in films and TV series, with some destinations even re-branding themselves based on their exposure on the big screen. Travel exhibitions have realised the potential of film tourism, and a presentation was given at the British Travel Trade Fair in Birmingham in March. VisitBritain’s head of campaigns, Seren Welch, said one in five overseas visitors was motivated by something they had seen in the cinema. Britain and many other countries have already gained enormous worldwide exposure through feature films – and the only direct costs are making places and facilities available to film makers. The Harry Potter films, Bridget Jones, Notting Hill and Braveheart – which is set in Scotland – are just a few of the films that have sent international visitors flocking to Britain. First Delta Airlines completed negotiations on restructuring their debt with American Express and General Electric. This will free upwards of 30 million dollars and provide the ability to increase their fuel hedges. Then they announce the hiring of Ernst and Young to serve as Delta’s accounting firm, replacing Deloitte and Touche. Concerning Delta’s ComAir subsidiaries contract negotiations with their flight attendants, the company has asked the courts to throw out their contract. They are looking for 42 million in cost savings. If this dies not work, Delta’s CFO will explore selling the regional carrier. As the airline industry limps into the new century with very little innovation, the new Scramjet tested in Australia this past weekend may a glimpse into the future. Imagine getting between the East Coast and Europe in a half hour, Australia to Japan in 2 hours. That is the future the Scramjet is proposing. And the best part is that the engine is not fossil fuel dependent, it operates on hydrogen and air with extreme compression. The Hyshot craft reached speeds of 6,000 mph — Mach 8, or eight times the speed of sound — over the outback in South Australia.The craft, which was just 4 feet 6 inches long, was testing a revolutionary scramjet engine designed by Qinetiq, formerly the British government’s defense research agency. Scientists believe that the scramjet could one day be used to power super-fast intercontinental passenger planes. “Ultimately, we hope to be able to use it to launch satellites into low-Earth orbit,” said Professor Allan Paull, of the University of Queensland’s center for hypersonics, which is working with Qinetiq. 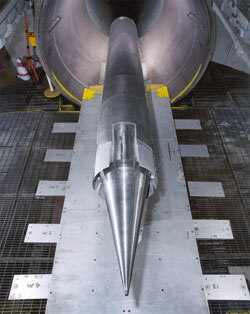 The scramjet — the name comes from Supersonic Combustion RAMjet — is among the simplest of all engines because it has no moving parts. If you are planning on flying out of John F. Kennedy Airport and are coming from Manhattan, US Helicopter Corp. has initiated a new service that will take you directly to the airport and prescreen you for security. The Transportation Safety Administration will have a security counter at the heliport in Manhattan to screen passengers so that JFK’s security can be bypassed. The time savings getting to the airport using the new service can save at least 2 hours and make the trip much more efficient to justify the 159 dollar one way fare. For the average traveler, this would be an extravagant expenditure, but for the business executive looking to maximize their time it is a very good deal. Plus you get a great view of New York City. U.S. Helicopter Corp. chief executive Jerry Murphy says the eight-minute rides, which cost $159 each way, will appeal mainly to business travelers who don’t want to waste up to two hours in a car or cab fighting New York traffic. Murphy said his helicopters, the first to offer airport service in more than 20 years, also will fly to LaGuardia and Newark airports by the end of 2006. The company expects to carry 150,000 passengers in its first year. “This will be a faster, more reliable system to get from New York City to the airports,” he said. More on US Helicopters service to JFK from Newsday. The FAA and NTSB are both going to start investigations at Chicago O’Hare International Airport over the high incidents of near misses at the airport, including 2 this past week. Pilots aborted takeoffs on Tuesday and Thursday to avoid colliding with other aircraft, the Federal Aviation Administration said. No one was injured. “Both incidents look to be air traffic controller errors,” FAA spokesman Tony Molinaro said Friday.The National Transportation Safety Board, which typically responds to fatal accidents, also will investigate because the incidents were “major” enough, said spokeswoman Lauren Peduzzi. Chicago O’Hare has too much traffic for air traffic control not to have complete control over the airspace. This is not a little rural airport. Northwest Airlines and Hawaiian Airlines have teamed up to offer a code share agreement. With Northwest’s strength in the Hawaiian market it will soldify Hawaiian Airlines position with the competition from Mesa’s Go! Airlines entry this past week. That means Northwest customers who fly to Honolulu and connect to Kauai, Maui or Hawaii’s Big Island will transfer to a Hawaiian Airlines interisland flight (although they also can book other airlines if wished). The code-share agreement also allows passengers enrolled in one airline’s frequent-flyer programs to earn frequent-flyer miles by flying the other airline.